Decatur’s Prairieland Punishers (ranked #247 globally) started out their 2019 competitive season on the road this past weekend, taking on the St. Chux Derby Chix from St. Charles, MO (ranked #259 globally) in regulation gameplay. 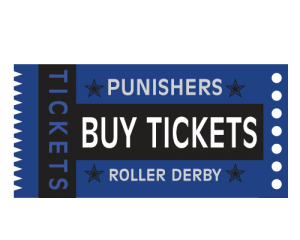 The Punishers set the tone for the game early, with jammers Jessica Rabbid, Malibruiser Barbie, and Rabbit Kix earning over 80% lead jammers and scoring a collective 167 points in the first half. Blockers Hare Razor, Hammer, Wildkat, Cutya, Jamie Lee Cutthroat, Emme Mortal, Tragedy Anne, Cinister, and Plumber Crack U kept the St. Chux jammers to only 9 points in the first 20 minutes, helping the Punishers finish the first half with a lead of over 130 points. The second half saw the addition of relief jammer Violet Vendetta to boost the Punisher’s already-strong jammer rotation. The Punisher’s four jammers collectively posted 113 points in the second half, while the blockers continued to keep St. Chux’s jammers at bay. Increased penalties in the second half led to more players from both teams in the penalty box, with one St. Chux and one Punisher skater fouling out before the game was over. The highlight of the game was back-to-back 20+ point jams in the first half by Malibruiser Barbie, for a two-jam total of 47 points, which earned her the Most Valuable Jammer for the game. Most Valuable Blocker was won by Hammer, and Coach’s Choice was Jessica Rabbid. The Punishers’ next game is on the road again, where they’ll be taking on Naptown’s Third Alarm in Indianapolis, IN on April 13th. The Punisher All-Stars Take the Win at Fox Cities!